Motorcycle accident cases are typically more complicated than other vehicle accident cases, mostly because the injuries for the motorcycle driver are more severe and there are several factors associated with driving a motorcycle. Road hazards: Flying trash, small animals and other everyday road hazards are far more dangerous for motorcycles than they are to other vehicles. No protection between you and the elements: When a person inside a vehicle gets into an accident, there’s a barrier between the person and the road. That’s not the case when you’re on a motorcycle. Less visibility: When you ride a motorcycle, you’re less likely to be seen by other drivers than if you were in a vehicle. How is liability determined in a motorcycle accident? 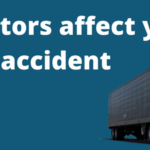 If a driver was not being careful and someone got hurt because of it, the driver will be held liable. A lot of motorcycle accidents are the fault of other drivers, but sometimes, the motorcycle rider is to blame. The law mandated that the defendant (the person being sued) was to act reasonably careful. Did the defendant cause the plaintiff’s injuries? Was the plaintiff injured? Did the plaintiff have losses (monetary, time off work, loss of quality of life, etc.)? 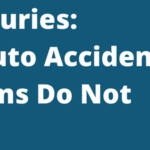 If no one was hurt, then there’s nothing to try to recover in court or through an insurance settlement. That’s true even if the person who caused the accident acted carelessly. What should you do if you’re in a motorcycle accident? Take notes and pictures: What do you remember about the accident? Write down every little detail that comes to mind: who, what, when, where, why. Who was at the scene? How many police officers? How was the weather? Did you take pictures of the scene and damage to your motorcycle or the other vehicle involved? Log your injuries and losses: You should report your injuries to your medical provider and your insurance company, but you should also keep a personal record of them. Take as many photographs as possible. Record your conversations: You should try to keep a record of every conversation you have that’s related to the accident, whether it’s with your insurance company, the responding police officer or the person who caused the crash. If you or someone you love was in a motorcycle accident, contact the offices of Robert Armstrong today.